We are in the week of the release of A Link Between Worlds, and most video game review sites already have their review copy. The embargo has also lifted, meaning that they can show the game to us, within reason. GameXplain has posted a short video showcasing the inside of the milk bar, and some talented musicians inside. Hit the jump to view the video! 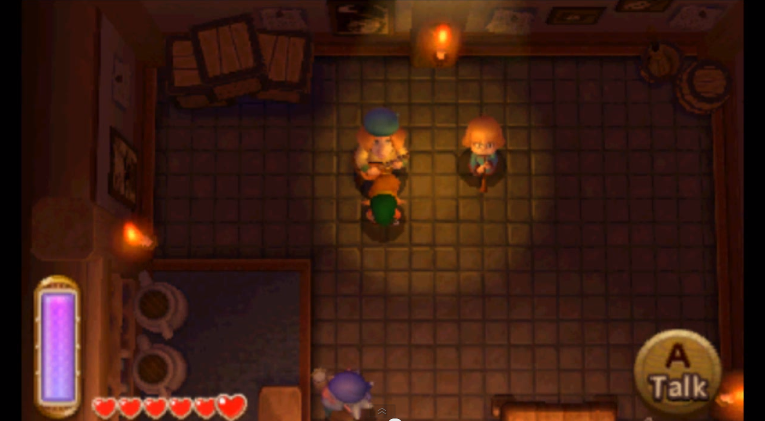 I think that it’s pretty neat to include musicians that actually play, though I hope that they play songs other than the Kakariko Village theme. Songs such as Zelda’s Lullaby, the Fairy Fountain theme, and maybe the Hyrule Field theme. It would also be cool if you could make song requests, however, you might already be able to do that. This reminds me of the Circus Leader’s Mask quest from Majora’s Mask, it would be awesome if you could request the song you play for the Circus Leader to be played in the Milk Bar in A Link Between Worlds.